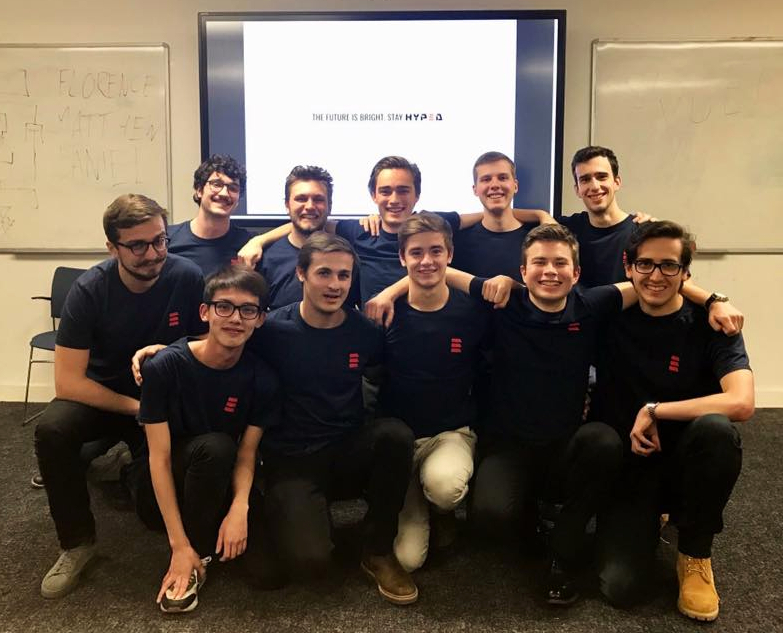 The Hyperloop society at the University of Edinburgh, HypED, was recently selected to build a prototype for the global finals of SpaceX Hyperloop Pod Competition, which will take place in late August at SpaceX headquarters in Hawthorne, California. The HypED team went through multiple rounds, submitting preliminary design briefing in Autumn 2016 (30 page document), final design briefing at the end of February 2017 (120+ page document) and presenting the design to SpaceX engineers this March. All of these have been successful and HypED was shortlisted down to 24 groups worldwide and 4 from Europe (others being Technical University of Munich, Technical University of Endeem-Leer and Warsaw University of Technology). The team is soon to receive further instructions regarding the competition as well as a SpaceX mentor who will coordinate our team's further steps. HypED is extremely grateful to the Professor Win Rampen, whose guidance made it possible to produce high quality designs, as well as the external sponsors - Cirrus Logic, Asana, Ansys, Costain, Thyssenkrupp, Analog Devices and SolidWorks. Moreover, as a result of the society's progression to the semi-finals in another competition (business case contest "Hyperloop One Global Challenge"), the team will be presenting at the showcase event for Europe which will take place in Amsterdam, 6-7th of June. Finally, the society has recently been award the Student Sustainability Award for their work towards a new mode of transportation, based on green energy! The School of Engineering congratulates HypED on their achievements so far and wishes everyone involved the best of luck in the upcoming stages of the SpaceX Hyperloop Pod Competition and Hyperloop One Global Challenge.